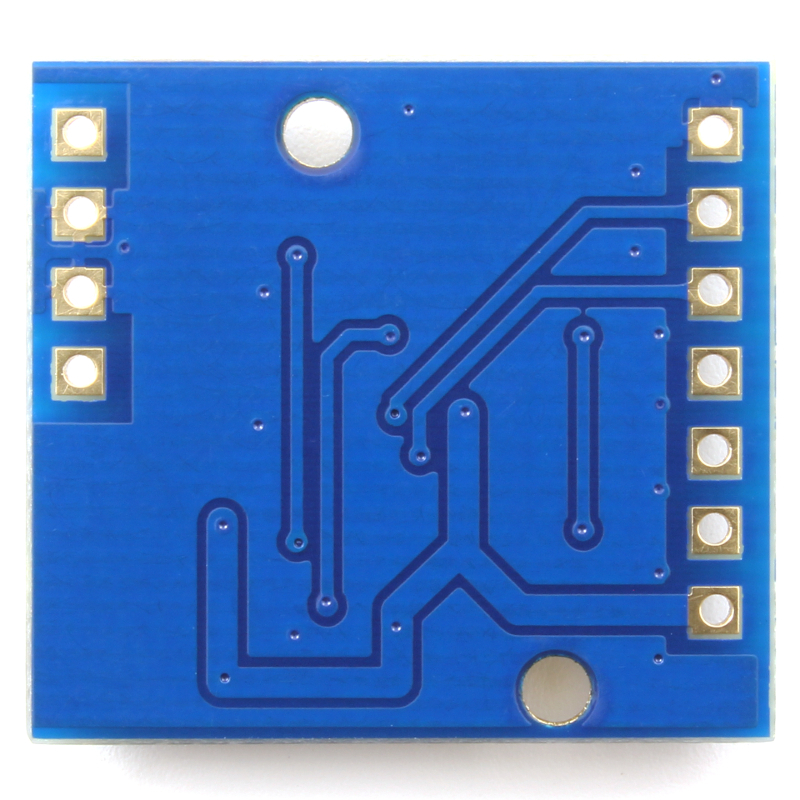 Breakout board for the Microchip MCP4922 dual 12-bit DAC. 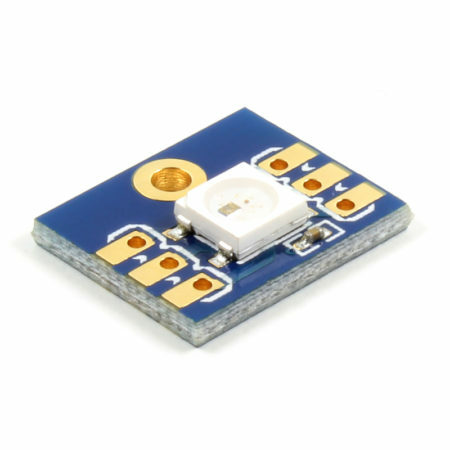 Includes two trimmers for VREF adjustment. 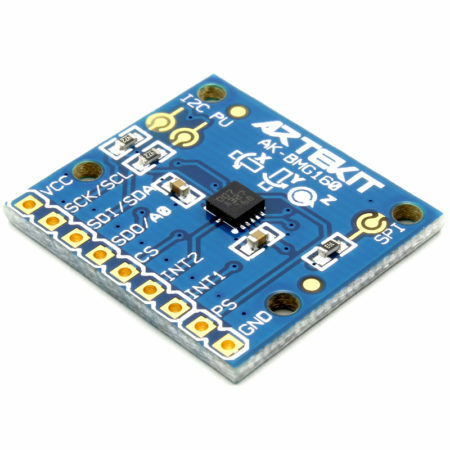 A lot of microcontrollers have ADC (analog to digital converter) but few have an integrated DAC (digital to analog converter). 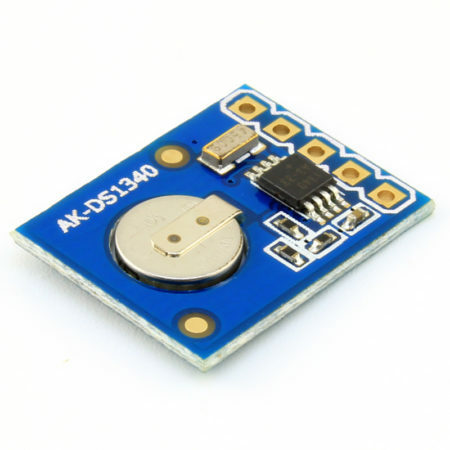 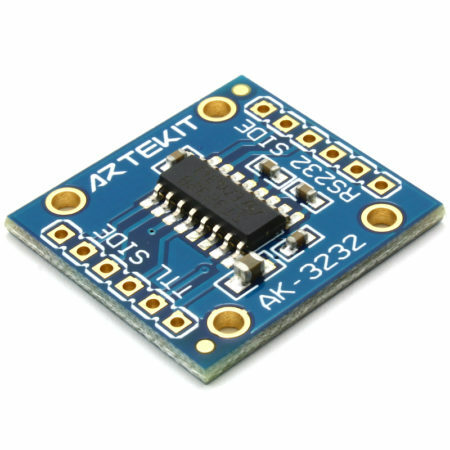 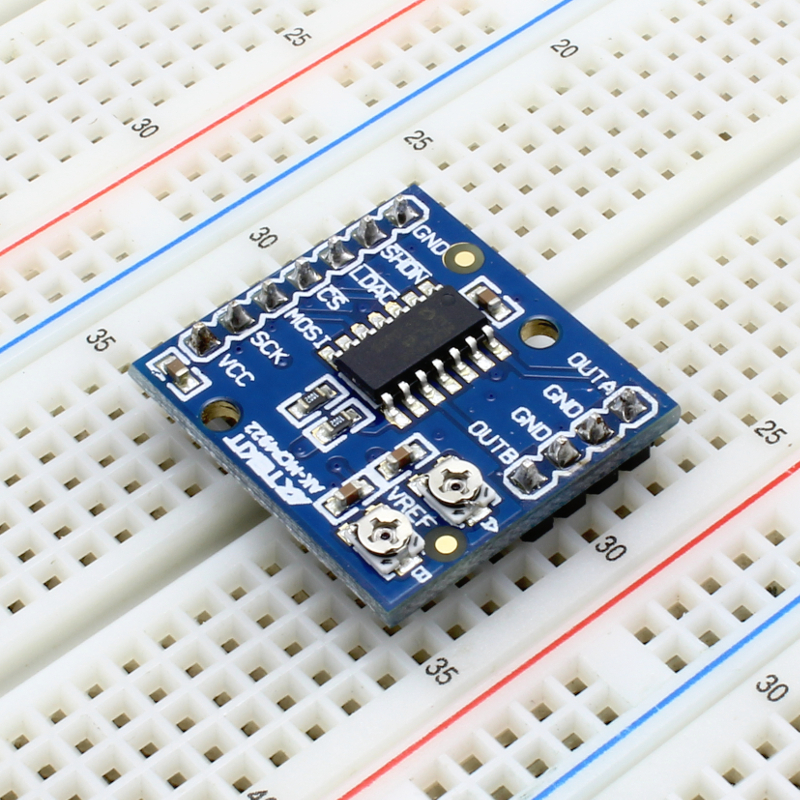 You can use this simple breakout board to add two analog outputs to your projects. 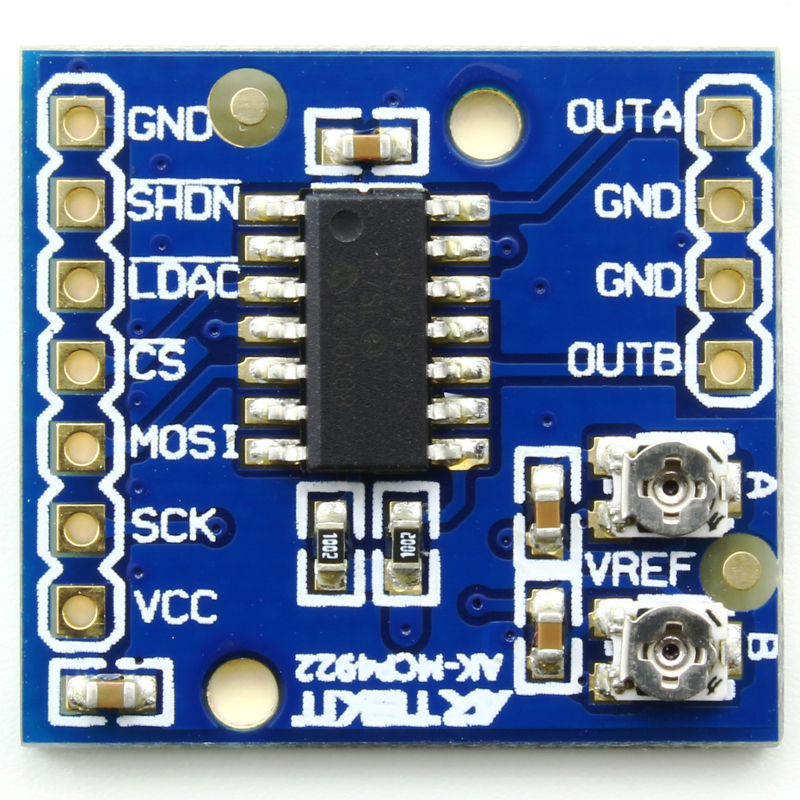 This is a breakout board for the Microchip MCP4922 dual 12-bit DAC. 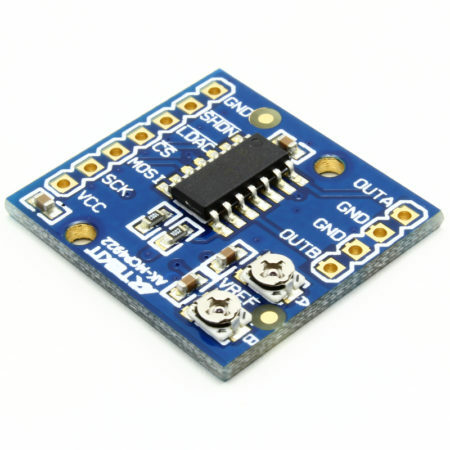 This board has two analog outputs (OUTA and OUTB) that you can control with a SPI interface: with only one command you can put the desired analog value on any output, and you can simultaneously update both outputs with the LDAC pin. This means that the outputs can be synchronized and makes this board perfect for stereo audio applications. 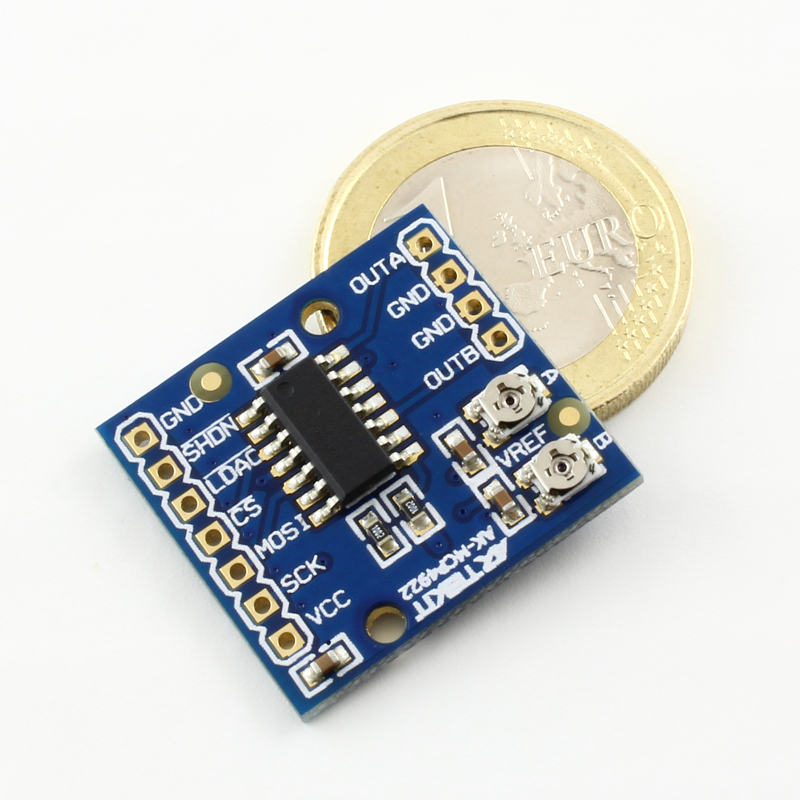 The MCP4922 breakout board works well with signals from 2.7V up to 5.5V (so Arduinos are welcome), and includes two Bourns trimmers to control VREF individually on each output. 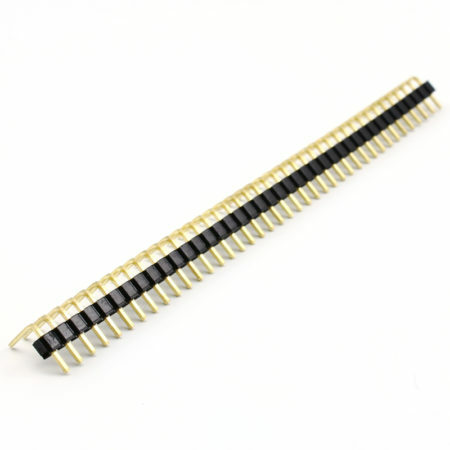 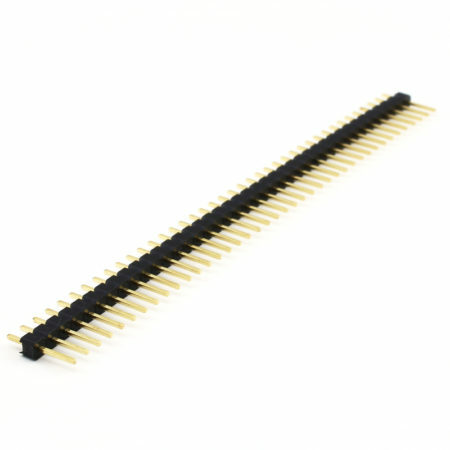 It also has two mounting holes and 0.1″ (2.54mm) spaced pins that perfectly fit into a breadboard/protoboard. 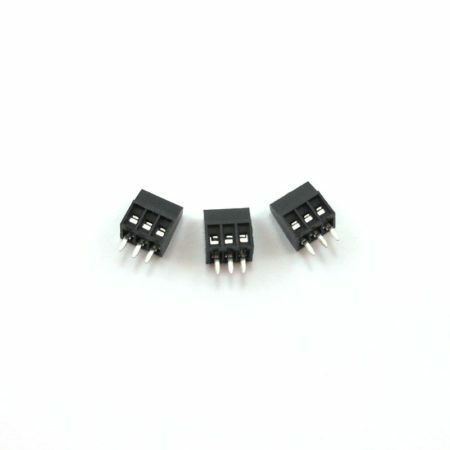 Trimmers to control VREF for each output.